The Port Authority doesn’t give a hoot about the lives of snowy owls. The agency that oversees the city’s airports has added the majestic snowy owl to the list of birds it kills to protect airplanes from bird strikes. The Port Authority’s “wildlife specialists” started exterminating the owls Saturday, killing three at JFK Airport with a shotgun, a Port Authority source said. What’s wrong with just trapping them and releasing them a considerable distance anyway? I’m quite sure both sides have some sort of argument, just curious as to why the airport people can’t do that.. The Governor’s office in NYC is the place to call to register your opposition: (212) 681-4573. Call takes just a moment. Simply say you are calling in opposition to the snowy owls shootings at JFK and they’ll ask for your zip code. Help us tell the Port Authority that snowy owls are valued and there are better ways to insure aircraft safety. 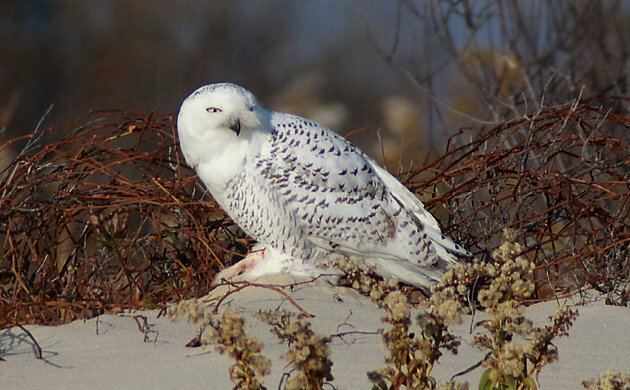 People can also sign a petition calling for an end to the shooting of Snowy Owls at JFK. (2) Contact the NYSDEC Region 2 Natural Resources Supervisor at R2natres@gw.dec.state.ny.us and ask them to engage with the Port Authority to stop the practice of shooting the owls.